The strike at the Indian carmaker's Manesar plant has entered its sixth day, with threats of similar strikes at other plants being made. The wildcat strike exploded a week ago, with around 2,000 workers demanding the recognition of a new union - Maruti Suzuki Employees Union (MSEU) - formed by those working at the Manesar plant, among other things. Around 1,000 workers from different firms in the Gurgaon-Manesar industrial belt gathered at the gate of MSI's Manesar plant today to express solidarity with the MSEU strikers. Meanwhile a committee of representatives from workers' organisations in the Gurgaon-Manesar region has been formed to support the strike, and has declared its intention to join the strike if their demands are not met. "If the issues are not resolved immediately, then a similar strike can happen in other factories in the Gurgaon-Manesar industrial belt," AITUC Gurgaon District Secretary Harjeet Grover, who is also the General Secretary of HMSI Employees Union, told the Indian press. He said a joint committee comprising representatives of all trade unions and various elected members from unions in different companies, including Hero Honda, Honda Motorcycle and Scooter India (HMSI) and Rico Auto, has been formed to support the MSI workers. 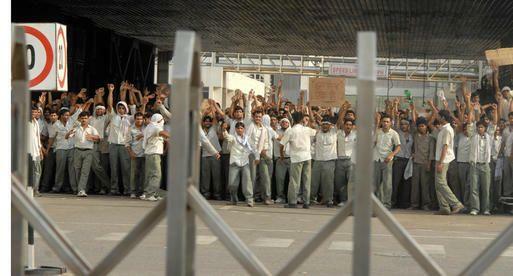 On the sixth day of the strike, it has resulted in the production loss of 5,400 cars. ET reported that the strike by workers at Maruti Suzuki at its Manesar factory is threatening to spread to other auto and component makers in the Manesar Gurgaon belt, which makes about half of all the cars and bikes in the country. The Maruti workers’ demand for an independent workers’ union has struck a sympathetic chord among workers in neighboring units including Hero Honda, Honda Motorcycle and Scooter, Rico Auto, Omaxe Auto and Lumax Industries. As per report, unions at these companies are now threatening to strike work against their respective companies. Workers from these companies and about two dozen other ancillary units here joined the protest outside Maruti’s Manesar plant on Thursday.